So you’ve adopted an online solution for storing your precious data. The cloud service you’ve chosen seems to have everything you want, transmission encryption, huge storage space, inexpensive pricing plans and mobile access. The one thing missing is a layer of protection for the data once it’s on your cloud’s servers. The simple fact is not all online backup and storage services are created equal. Some work with all operating systems but have limited space or some have sync capability but don’t support Linux. The either or features comparison can be frustrating when trying to find a company that’s reputable, stable and trustworthy enough to hold your sensitive data. If the only thing holding you back is endpoint server encryption, then the most straight forward solution is to encrypt it yourself. You may be thinking, “Encryption? That’s too technical for me!” It may sound like a word out of the movies, but encryption is more commonplace than you might think. Geeks and tech enthusiasts have been using it for many years for their own personal files and it’s a good idea for other, non-technical, users to start too. Everything is moving to the cloud and users will need to protect their data themselves instead of relying on a third party to do it for them. Who else will care about your data the way you do? That’s where encryption tools come in. The one we’re looking at and highly recommending is Truecrypt. Truecrypt is free open-source disk encryption software, meaning it’s free to download and use as you like. Without getting too technical, Truecrypt uses several algorithms, including the popular AES to encrypt data. Algorithms can be used in conjunction with each other to add two and three layers to the protection and all perform at 256-bit key size. Technical details aside, if you aren’t a geek, then you’ll likely want to know how easy it is to use and what the extended benefits are. 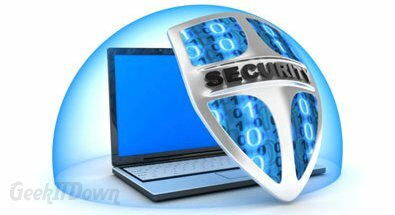 Starting with the latter, benefits include encryption of portable storage devices such as flash drives and external hard drives, entire partition encryption, individual file or folder encryption and hidden partitions. Ease of use depends on how comfortable you are with software, but the process itself is straight forward. 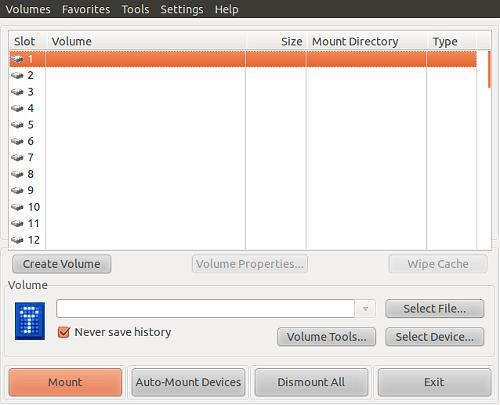 In the screenshots (taken on a linux system) below, notice the simple interface. There’s no wrong way to encrypt your data when it comes to choosing an algorithm and the same premise applies as with any other password protected item – use a strong password. 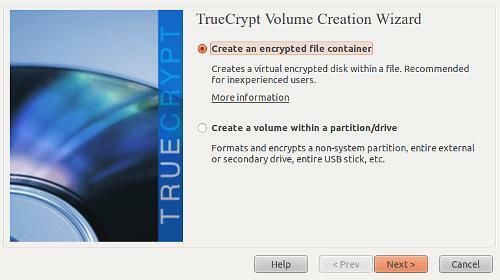 Truecrypt does the rest. The documentation on using Truecrypt is extremely thorough so instead of rehashing the information, it’s best to reference the material directly if you have questions. After you’ve encrypted all your data, simply instruct your online backup / storage service to sync the Truecrypt container or upload it manually to the cloud. Now, even if a hooded figure with the powers of a Ninja and hacker skills of a supercomputer gain access to your cloud service, your data will still be encrypted and protected. Finally, Truecrypt is free software and the product is kept up to date and patched because users continue to support them through donations. If you do use and like Truecrypt we encourage you to donate to the cause.